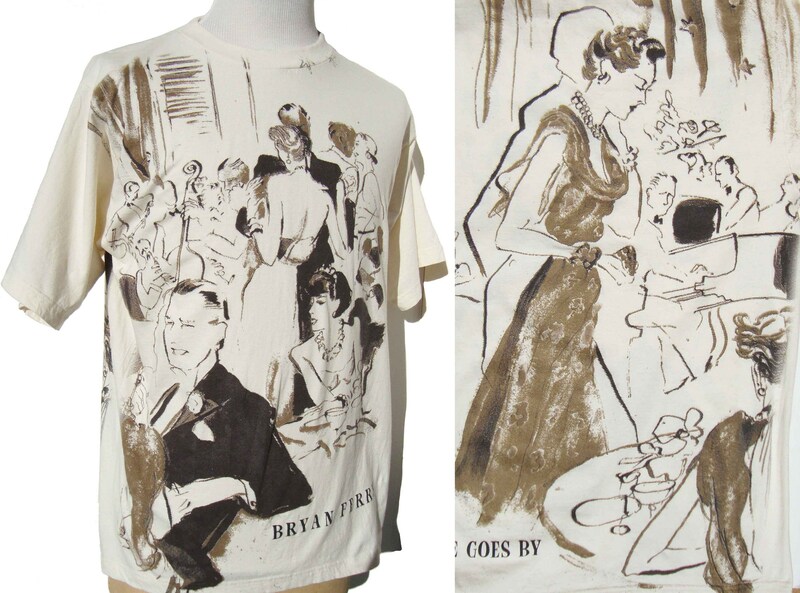 Old style glamour is illustrated on this vintage t-shirt for singer Bryan Ferry’s “As Time Goes By” music album, featuring a jazz age cocktail party, and released in 1999. The solid weight cotton t-shirt has short sleeves and crew neck, and a large sized print in front which differs from the print in back – with each depicting well dressed men and women in evening wear, in a sepia tone brown over a white ground. The tee is also printed with “Bryan Ferry” on the front lower left, and with album name of “As Time Goes By” in back. 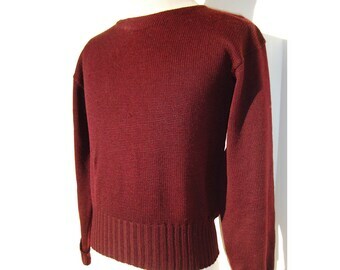 It also has a label for “Redwood Sportswear” with a size of “L”, along with fabric care information on the reverse, which includes “100% Cotton”. Very good condition with images intact.